Whether you are installing a new toilet, new tap ware or you have leaks and blockages in your existing plumbing a qualified plumber from North Shore Plumbing & Hot Water can quickly come to your premises and help you. The key to installing new plumbing accessories or repairing old ones is having the right tools and knowledge to do the job properly. Our plumbers come equipped with the parts required to fix the most difficult leaks in taps and toilets. Toilets are a major culprit that cause blockages. Whilst most people today are environmentally aware and know what not to put down toilets, accident do occur. However, the problem area may be in a pipe that is blocked and so your plumber will be able to analyse exactly where the problem is. The waste material however needs to be pushed downstream and so a clear path is required to allow waste and water flow. You should be aware that modern toilets often have a narrow throat at the S-bend which reduces the pipe diameter. This makes it more susceptible to the wrong waste material being flushed. As a rule of thumb, only toilet paper should ever be used as it can break down. Items such as nappies, baby wipes, face wipes, kitchen roll paper, sanitary items and other material should not be put down the toilet. Wear and tear is the primary cause of leaks in toilets and taps. They tend to be a major cause of frustration in trying to fix, but also costly from the amount of water that is lost. By using a specialist you will not only have the job done properly, but also save time and money. The primary issue that the home handy man will find in fixing a leaking toilet is that assumptions will be made as to where the problem lies. To effectively repair a toilet requires a complete service. New parts in one area of your cistern will put pressure on older parts that will soon need repair. To avoid ongoing rework it is important to consider not just fixing the obvious problem, but look at all the parts that makeup the flushing mechanism. 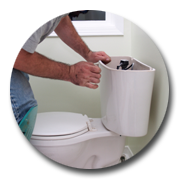 With North Shore Plumbing we will completely service your toilet, not just repair a broken seal. This will include looking at all the seals within the toilet cistern and replacing them if necessary. This gives you confidence that your toilet will not leak and waste water for years to come and reduce the time and cost of recalling your plumber. 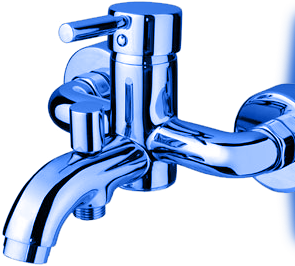 Please contact North Shore Plumbing & Hot Water if you require leaking taps or toilets to be repaired.